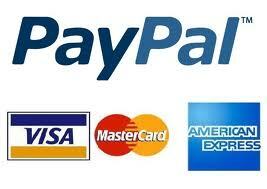 Online booking payments allow you to be open for business at all times. Regardless of your business hours or the time zone that you are in, you can be ready and willing to accept booking & payments for the services you offer. Instead of forcing your customers to go through a third party site to complete their payment, you can add a payment gateway to your bookitlive account that automates the process. Customers can make a quick, secure payment through your website. Online payments are beneficial not only to your customers, but also to you. They allow you to get paid faster, since the money that is paid for bookings heads straight into your merchant account. You don’t have to wait for it to be processed, and your cash flow is not slowed down. By accepting online booking payments, you can potentially reduce your overhead costs and increase your profits as you can take booking payments 24/7. Online payment gateways such as SecurePay and PayPal are secure, alleviating the fear that comes with accepting payments online. You don’t have to worry about the private information of your customers, because you know it will be protected. In addition, you don’t have to be concerned with whether or not you will actually get paid. bookitlive automatically calculates the total for the customer and records all the transaction details. This reduces bookkeeping frustrations and also helps you earn the income that you deserve. bookitlive is an online booking & payment software that was created specifically for service providers. With bookitlive, you get an easy online booking interface that can be added to your website and Facebook page and works on any internet connected device. (Optimized for Smartphones and tablets And bookitlive offers you so much more. It’s a software system that is truly designed to enhance your overall business.